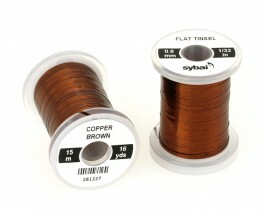 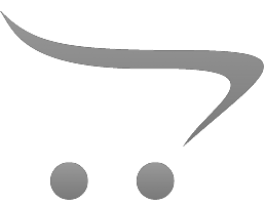 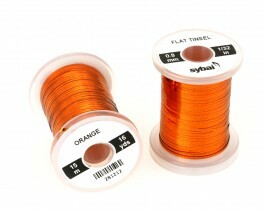 Largest commonly used size essential fly tying material that can be found on large number of patterns. 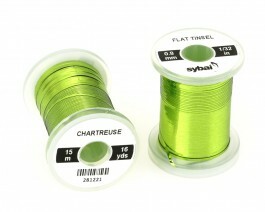 Its shine makes the fly more attractive. 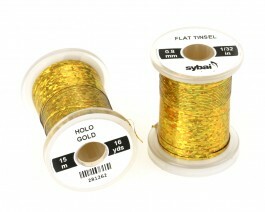 With flat tinsel we can buld body, ribbing, back, tip and other details of our patterns. 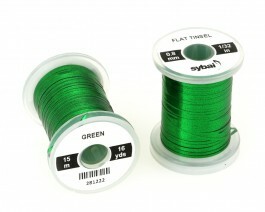 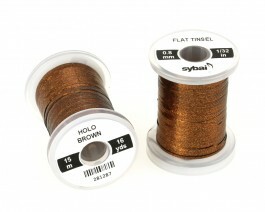 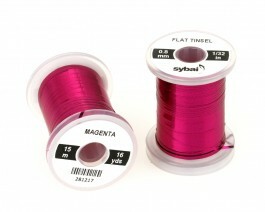 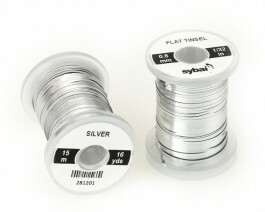 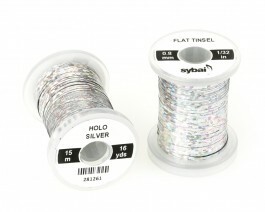 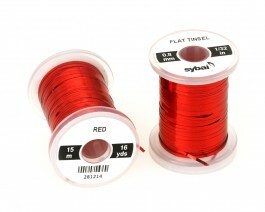 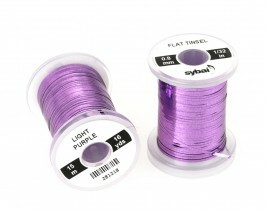 The tinsel is wound on standard size plastic spools including caps with slotted to secure the thread end. 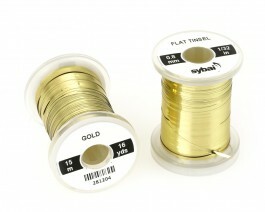 Contents: 15 m per spool.